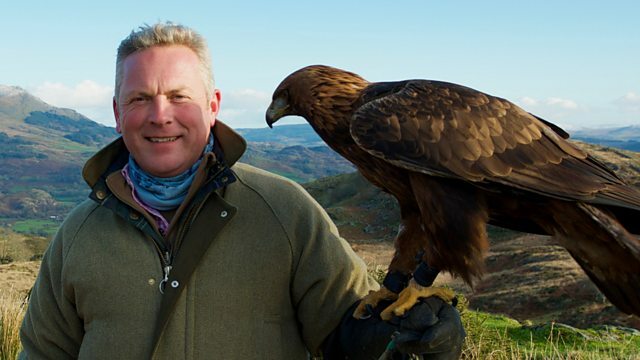 Jules Hudson is in Snowdonia to discover how golden eagles – one of Britain’s rarest birds of prey – are poised to return to the skies of Wales after an absence of 200 years. Re-wilding experts believe the landscape could provide a perfect home for these majestic birds – the holy grail for twitchers. Golden eagles could also help to boost eco-tourism. But not everyone is wild about the return of the largest UK raptor. Sheep farmers fear eagles will prey on lambs, decimating flocks which are so crucial to farming livelihoods. Find out more about golden eagles by following this link. Keeley Donovan is behind the scenes in Aviemore to meet some of the unsung heroes braced to keep visitors safe in the Cairngorms. The mountain rescue team is going through avalanche rescue practice ready to go to the aid of anyone caught out in one of these terrifying torrents of snow. In the last five years, there have been more than a thousand avalanches in Scotland claiming 27 lives. And Keeley meets the guys behind the wheels of giant gritters battling the elements to keep roads open and safe to Aviemore: among them the notorious A9 – known as Scotland’s killer road. For more tips on staying safe while enjoying the great outdoors follow this link. Paul Martin has a dilemma. Like so many of us, he’s got loads of clutter he wants to get rid of but he doesn’t want to dump it all in landfill. So what’s the answer? In the Somerset market town of Frome, Paul discovers clever solutions re-vitalised from skills our grandparents took for granted but which we have lost. Repair and Re-Use are the new buzzwords as Paul discovers when he visits pioneering projects which cut down clutter and save the environment. Find out more about Jen’s year without waste on her blog. Anita Rani discovers the remarkable effect our countryside and our farms can have on refugee families who have fled war-torn countries. Margherita Taylor rolls up her sleeves for one big spring clean. She’s at Knole – one of England’s biggest houses with an astonishing 365 rooms and an equally astonishing trove of priceless treasures to keep in tip top condition. As Margherita gets stuck in, she’s on the look-out for high class hints tips to take home. And there’s no shortage of these - including some classic mistakes we all make and need to avoid. For some more tips for your own spring clean follow this link.